The Leonardo Sofa offers unique style to a classic idea. 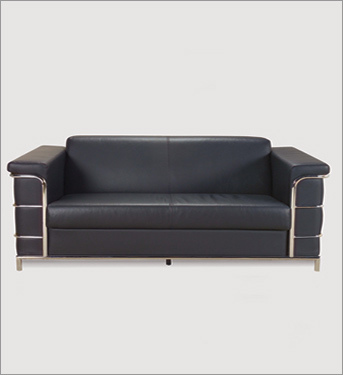 It features a chromed steel frame to add substance to the piece and then is upholstered in soft italian leather over foam cushions. 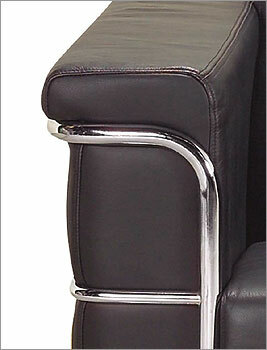 The chromed frame wraps around the front of the sofa.